There’s no class in art school that can teach you this. Believe it or not, there’s a lot more to directing a great animated film than beautiful illustrations and cool characters. You need to bring out your inner creative visionary and take your savvy leadership skills to the front lines – being great with a pencil, brush, or stylus is not enough. Tony Bancroft released his inner creative visionary when creating Mulan. 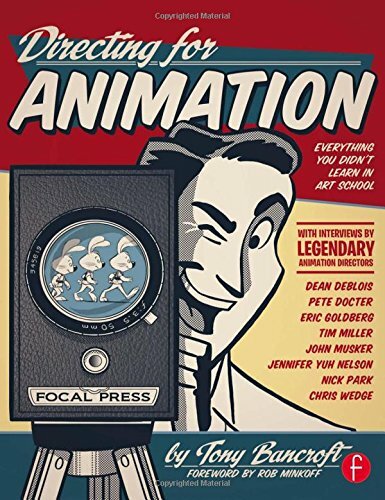 In Directing for Animation he shows you exactly how. Pull the right strings to bring your characters to life and center your story by developing the visual cues that lend to your audience’s understanding of the plot, place, and purpose. Tony walks you through the process, bringing you behind the scenes of real, well-known projects – with a little help from some famous friends. Learn from the directors of Aladdin, The Little Mermaid, Ice Age, Chicken Run, and Kung Fu Panda, and see how they developed stories and created characters that have endured for generations. Get the inside scoop behind these major features… pitfalls and all.